A blog about all things craftable. Fall is just around the corner and I wanted my first project blog to be something that could be useful for everyone. If you follow these step by step directions hopefully you will have an awesome acorn card. The directions will be a broad overview of tools used and not an in-depth tutorial. I hope to add more in-depth tutorials as my blog grows. If you have any questions about this project or tools used in this project, please leave your question in the comments and I will do my best to help you be successful. 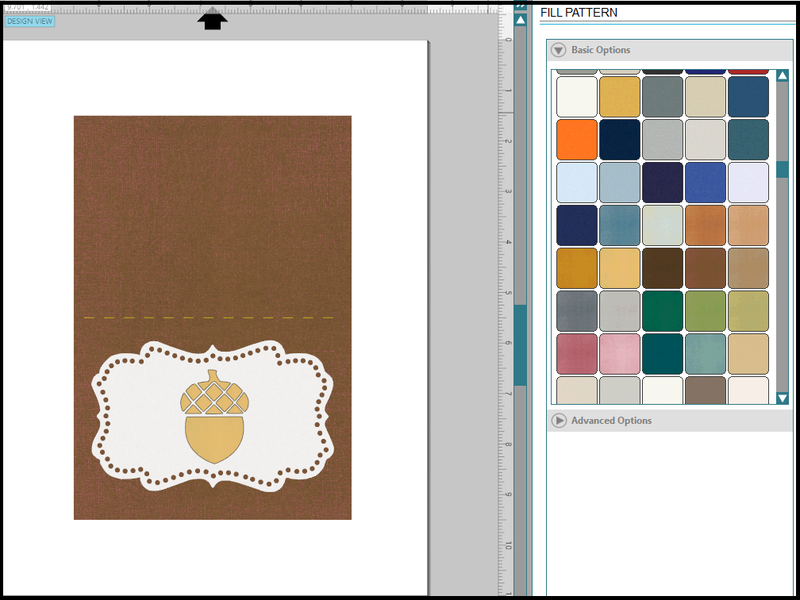 All of my tutorials will be using the Silhouette Studio Designer Edition. If you don't have that software yet, check out 13 reasons to buy the Silhouette Studio Designer Edition. Step 1: Create a rectangle that will represent our opened card size. My card will be 8” x 5.5”. Step 2: Create a center score line. This will make folding the card a bit easier. 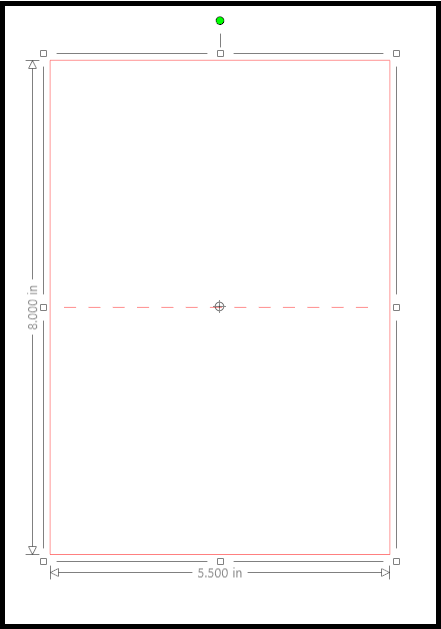 It’s not required, but it is nice to have a center-line for when you are creating elements on your card. To create the score line just draw a solid line across that is less than your card width. 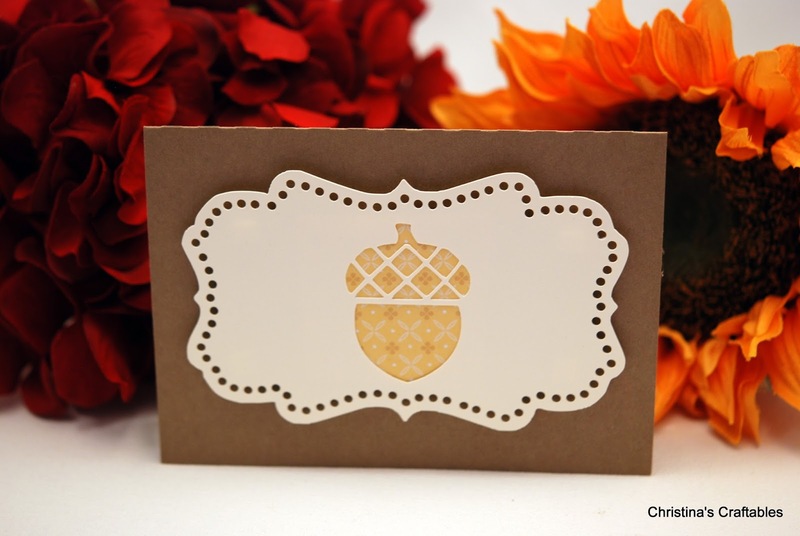 Position the line in the center of the card using the align tool. Next, select the score line and change the line type to a dashed line. A 8" x 5.5" card and center score line. Step 3: Google “fancy tag outline”. Click on images and find an image that you like. 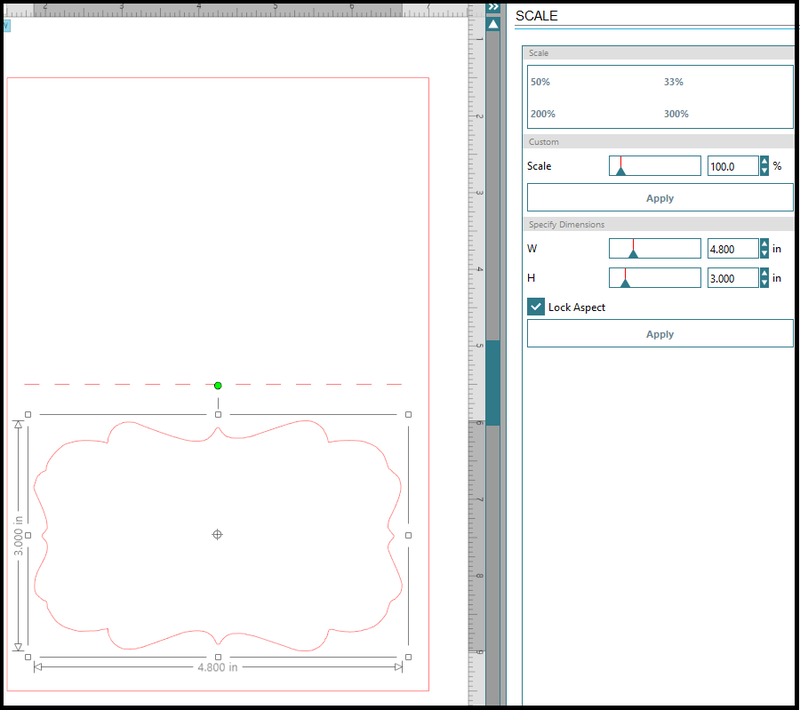 Copy and paste that image into your Silhouette work space. 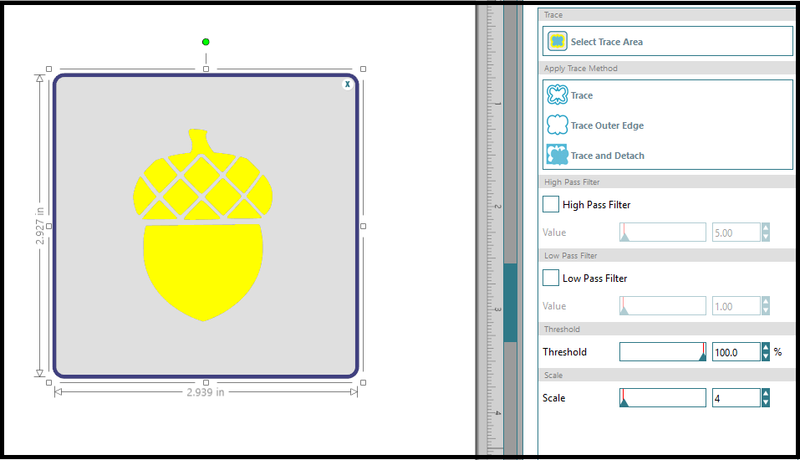 Step 4: Using the trace tool make an outline of your fancy tag. Step 5: Resize your tag outline and place it in the bottom half of your card. I made my tag 4.8" x 3". We are getting to the fun part next! Step 6: Create an internal offset using the offset tool. I used 0.15 inches as my distance setting. Okay, I lied, the fun part is actually next for real this time. Step 7: Select the internal offset. Click on the rhinestone tool and select the edge effect (red arrow), 6ss size (blue arrow), and then adjust your spacing (black arrow) until you are happy with how the circles look. 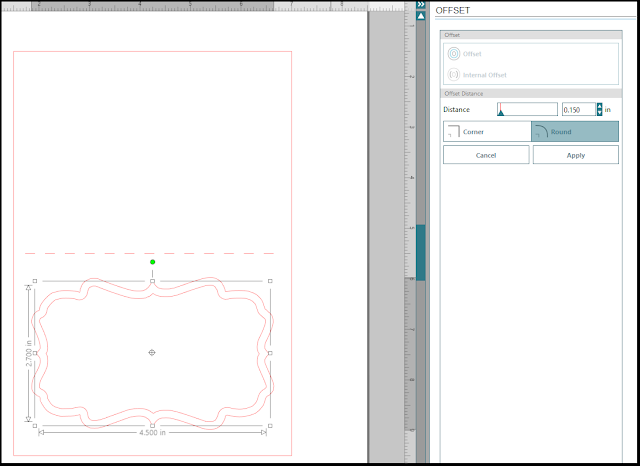 If you don't have the designer edition you can use the line editing tool to make fat dashed lines (that look like circles). 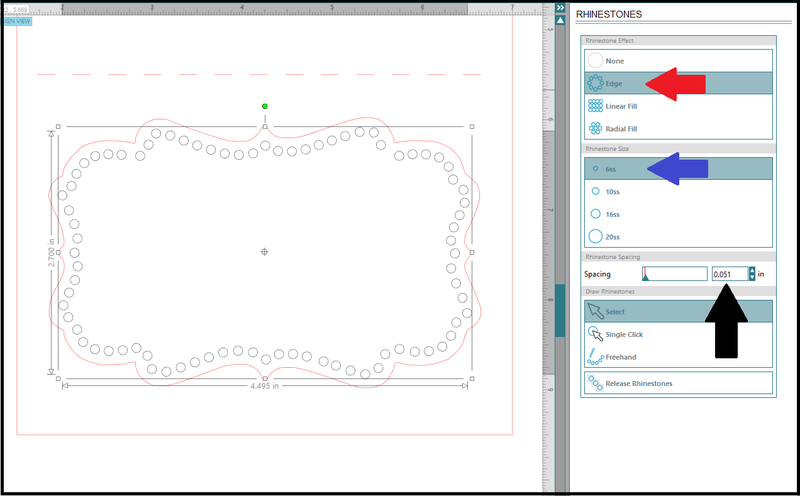 The rhinestone tool works soooooo much better and your circles look like circles. Step 8: (optional) Release the rhinestones and move any that are not playing nice. Step 9: Find an acorn image that will be suitable for cutting out. I found that googling "acorn logo" produces many more usable images than searching for "acorn" or "acorn clipart". Next, trace the acorn image like you did previously in step 4. Center the acorn on the tag and resize as needed to fit inside the rhinestones circles. 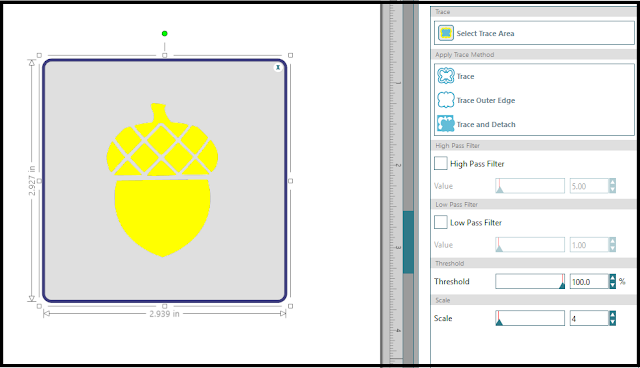 If you can't find the perfect acorn image remember that you can edit the traced image to make it perfect. Step 10: I like to put all the pieces together and color the different sections so I can see how the final product will look. Resize or adjust anything that doesn’t look right. It is helpful to group the tag, rhinestones, and acorn images together at this point so you don't have to keep readjusting them. I really felt like this image was a 'draw the rest of the owl'. I hope it all makes sense on how I got to this point. Step 11: Be sure to drag the tag and acorn off of the cut area before you proceed with this step. Cut out the card using brown paper and fold it in half along the previously created score line from step 2. 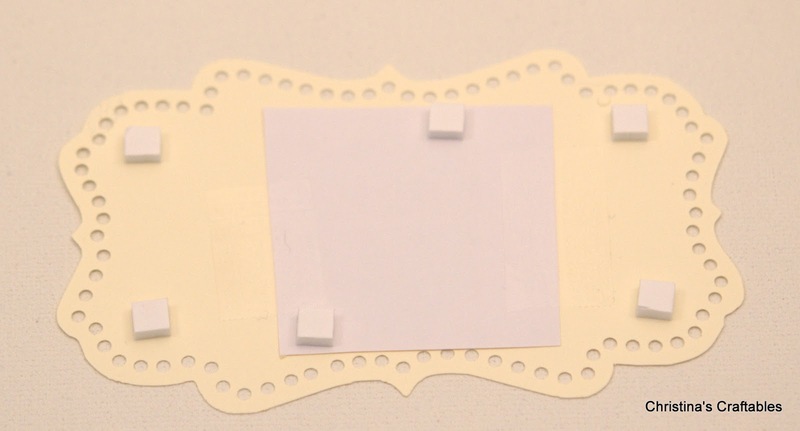 Step 12: Cut out the tag and acorn using a cream colored paper. You will probably need to weed out some of the rhinestone circles. Step 13: Gather your materials. You will need tape, a small square of patterned yellow paper (to fit behind the acorn cutout), small foam mounts, the card, and the tag. Step 14: Tape the small yellow square to the back side of the tag then place the foam mounts on the back of the tag. Step 15: Center your tag on your card and stick it down. So easy, yet so fancy! Congratulations! You made it to the end of my project post. That may be the real feat here. Thanks for following along. Please send me your finished cards and I will post them to the blog to inspire others! Feel free to check out my Etsy store where I have posted handmade cards and other crafty things.